Tibetan Buddhism, the teaching of the Buddha as practiced and taught in Tibet, is at last becoming known to the world. Because of Tibet’s secluded location, the Buddhist tradition developed there for fourteen centuries in relative isolation, unknown or misunderstood by the outside world. A turning point came in the late 1950s, when the Communist Chinese takeover precipitated the migration of Tibetan teachers to India. 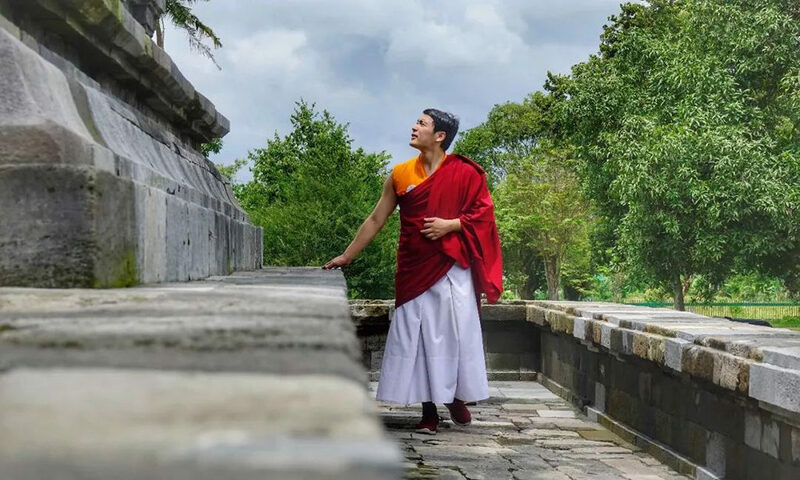 Since then Tibetan Buddhist teachers have traveled further abroad and have established teaching centers that are now flourishing in Japan, Southeast Asia, Australia, Europe, and North and South America. 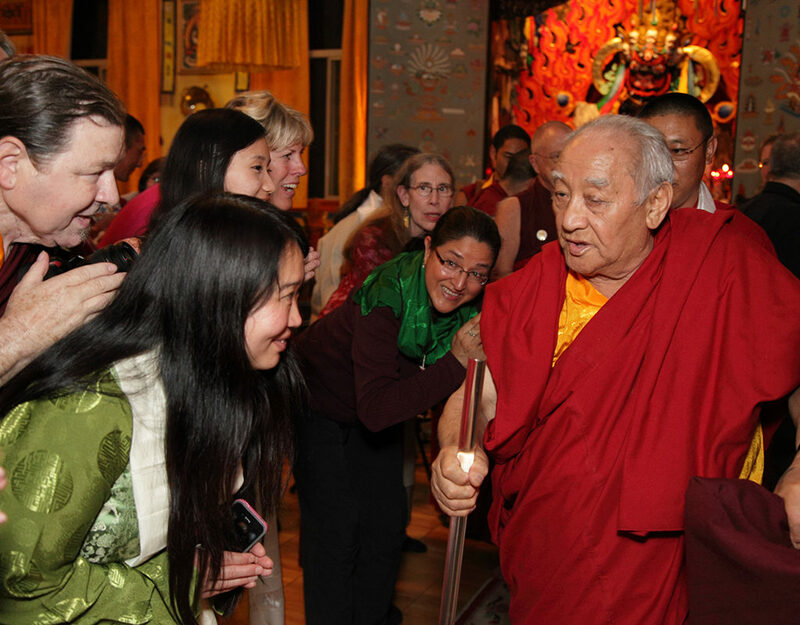 For the first time in history, people from all over the world are able to learn directly from authentic sources about how Tibetan Buddhism was practiced in Tibet. The Tibetan migration has found a particularly receptive audience in the United States – which is, after all, a country of immigrants. 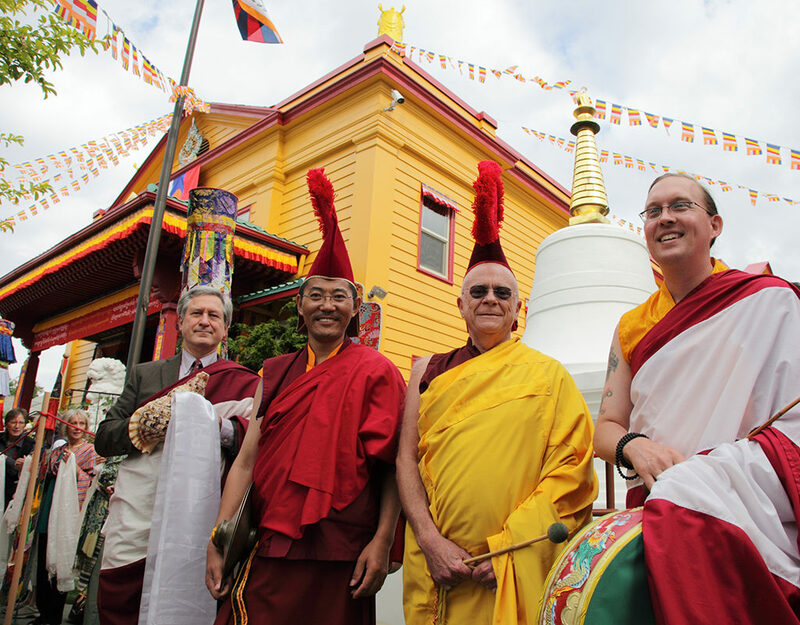 Buddhism is now one of the fastest growing religions in the United States – not least because of the rise in popularity of its Tibetan tradition. The historical Buddha (named Siddhartha at birth and commonly known as Shakyamuni Buddha) lived in northern India approximately five centuries before Christ. He was a prince who renounced a privileged royal life in order to search for ultimate peace and the highest good. He realized the highest level of enlightenment at the age of thirty-five. Through arduous practices, concentrated meditation, and deep reflection he became a fully awakened being – a Buddha. He then taught the path of spiritual liberation to numerous disciples for over forty years until his passing at the age of eighty. Afterward the communities of monks and nuns that he founded dedicated themselves to preserving and upholding his teachings, thereby laying the foundations for what has become known as Buddhism. The term “Buddha” means an “awakened” or “enlightened” one who has discovered true wisdom and attained nirvana (the cessation of craving) in this world. It is a descriptive title given to all fully enlightened beings, rather than being the exclusive name of a single individual. There have been Buddhas in the past (for example Kashyapa, Dipangkara, or Shakyamuni – the historical Buddha), and other Buddhas are expected in the future. Tibetan Buddhism teaches that we are all potential Buddhas, because we are essentially pure and luminous at the most basic level of existence. That purity, called Buddha-nature, is typically clouded over by a dense layer of ignorance and negativity, which dominates us and leads to suffering. The Tibetan Buddhist path encourages its practitioners to adopt the traits and characteristics of enlightened beings through the use of special meditational techniques, thereby realizing their innate Buddha-nature. Buddhism is a tolerant religion that places emphasis on practical methods for cultivating spiritual awareness and on the importance of finding the truth for oneself. It treasures loving-kindness, compassion, equanimity, clarity of mind, and wisdom. Its hope is to alleviate suffering and to create healing and transformation so that all beings may experience the highest peace (nirvana). Followers of the Buddha entrust their spiritual growth and well-being to 1) the Buddha as the perfect teacher, 2) his teaching (the Dharma) as the holy path to awakening, and 3) the lamas, tulkus, and the ordained (the Sangha). These three objects of refuge are collectively revered in Buddhism as the “Three Jewels,” and are the basis for Buddhist spiritual commitment. Early in the history of Buddhism numerous schools developed. The only early school that still exists today is Theravada Buddhism. It is the Buddhism still found in Sri Lanka, Myanmar (Burma), Thailand, and Cambodia. Monasticism is the cornerstone of Theravada Buddhism. Around the first century BCE, a new form of Buddhism developed on the Indian subcontinent. It was called Mahayana (the “Great” or “Universal Vehicle”). The Mahayana movement brought a new religious ideal to Buddhism, that of the bodhisattva, an individual who works for the enlightenment and well being of all, not just for him or herself. This form of Buddhism spread throughout China, Korea, and Japan. Several centuries later a third Buddhist tradition emerged in North India. Called Vajrayana (the “Diamond Vehicle”), it spread throughout the Himalayan kingdoms of Tibet, Nepal, Sikkim, and Bhutan, and northwards into Mongolia. The “diamond” in the name refers to the supreme clarity of its vision and its crystalline hardness and strength. 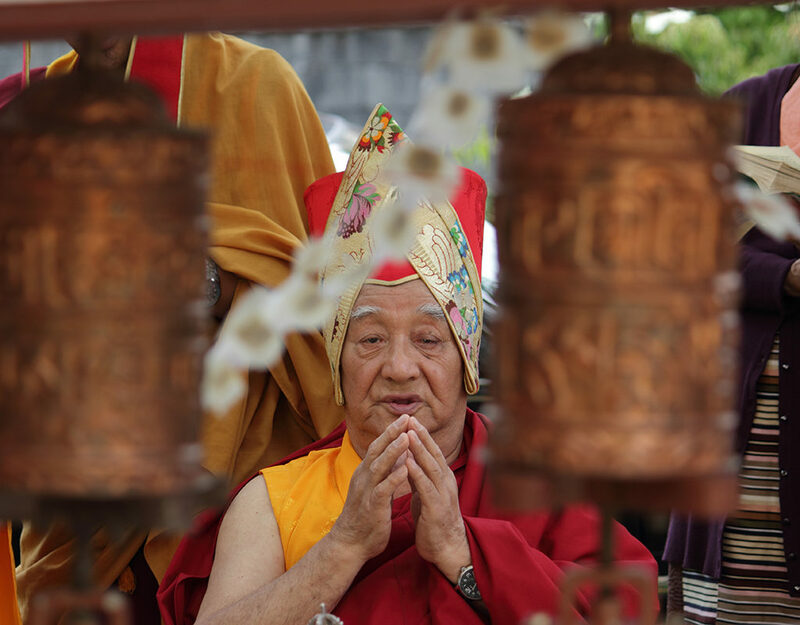 Tibetan Buddhism upholds the teachings, meditation techniques, and ordination vows of the Theravada, and the philosophy and cosmology of Mahayana. But it was in Tibet that many of the Vajrayana teachings were preserved, and most of the distinctive qualities of Tibetan Buddhism can be found in its Vajrayana heritage. The Vajrayana path largely follows the Mahayana philosophical teachings, but there are some variations in methodology. Whereas Mahayana seeks to destroy the poisons of craving, aggression, and ignorance, Vajrayana places an emphasis on transmuting them directly into wisdom. This is based in the Tibetan Buddhist belief that the mundane world (samsara) is inseparable from enlightenment. In order to accelerate the process of enlightenment, Vajrayana uses advanced yoga techniques in combination with elaborate meditations. The meditations incorporate visualizations of personified archetypes of enlightenment, frequently referred to as “meditational deities.” These archetypes are often represented in Tibetan religious art in the form of bronze sculptures, or in painted portable scroll icons, known as thangkas. The scriptures containing the esoteric teachings for yogic practices (such as meditative visualizations) are called tantras, and are part of a larger body of Buddhist sacred texts, based on the public teachings of the Buddha, called sutras. 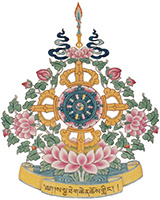 (Vajrayana’s use of tantric literature explains why it is sometimes referred to as “Tantric Buddhism.”) Mantras (chanted sacred syllables or phrases), mudras (ritual hand gestures), and mandalas (symbolic representations of enlightened worlds) are all used as part of Tibetan Buddhist meditational practices. Buddhism has a long history in Tibet. During the reign of Tibet’s first emperor, Songsen Gampo (ca. 600-650 CE), when Tibet first established itself as an independent kingdom and empire, the teachings of the Buddha were introduced to Tibet. It was another century before Buddhism began to flourish during the reign of three emperors: Tri Song Detsen (fl. 775), Tri Saynalek (fl. 812), and Tri Ralpachen (fl. 838). During that time great translation projects were undertaken so that Indian texts could be recorded in Tibetan, monasteries were built, and the royalty, nobility, and populace embraced Buddhism. The last Tibetan emperor (reigned 838-842) was anti-Buddhist. He suppressed the religion, was assassinated as a result, and by the early 840s the royal dynasty collapsed. Tibet had a dark age of nearly two centuries – from 850 to the early 1000s. During this time, there was no central government. Although Buddhism in Tibet survived during this period, there were no monasteries or great translation projects, partly because there were no great patrons to support them. Tibetan translators going to India and Indian sages coming to Tibet revived Buddhist teaching in Tibet between the late 900s and the 1200s. By the early 1400s, there were four major schools of Tibetan Buddhism. The Nyingma School adhered to the Vajrayana teachings from the earlier royal period. 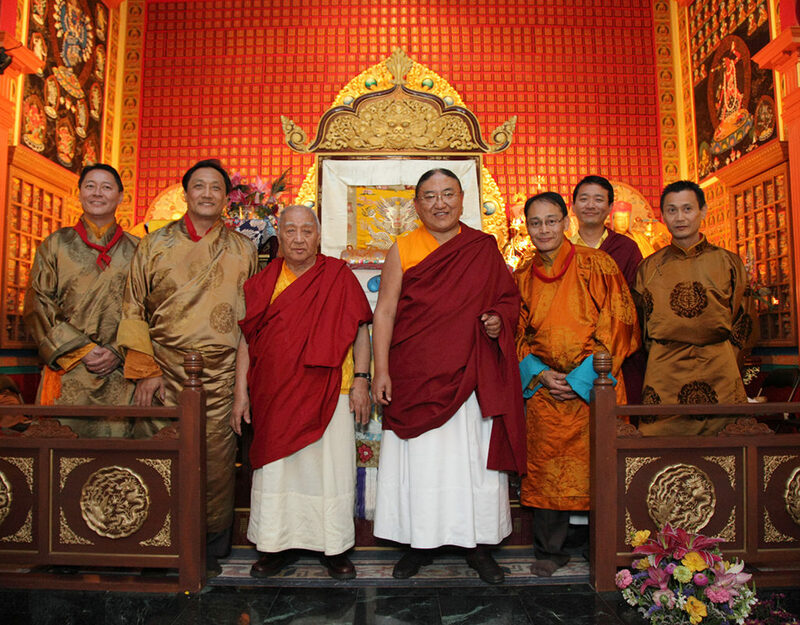 The Kagyu, Sakya, and Geluk Schools all followed later Vajrayana teachings coming into Tibet from India. The schools formed due to individual teaching lineages and the relative emphasis each group placed on particular esoteric teachings. These schools, which continue to exist to this day, do agree on the essential teachings of Buddhism. Over the centuries, lamas played increasingly important roles in Tibet, not just as religious figures, but also as political leaders. Often in Tibet’s history, a lama led the government. The first lama to do so was the Sakya patriarch Chögyal Pakpa (1235-1280), who was given his temporal authority through the patronage of the Mongol rulers of China. It was also through Mongol patronage that the Dalai Lamas or their representatives have ruled Tibet since 1642 (with one major interruption). They, too, are both religious and temporal leaders. The last half of the 20th century has brought unparalleled changes to Tibet. The Communist government of China controls Tibet and under its rule Tibet’s religion and culture have suffered greatly. H. H. the Dalai Lama, spiritual and political leader of Tibet, has set up a government-in-exile in Dharamsala, India. Tibetan exiles have settled mostly in India but also in other countries such as Nepal, Switzerland, Canada, and the United States. H. H. the Dalai Lama has worked hard to bring the plight of Tibet to the world’s attention, and in 1989 his efforts gained him the Nobel Peace Prize. Since then, popular sentiment and political activism have increased in support of the restoration of Tibet. Embracing the values of compassion and wisdom, not all exiles view the loss of their homeland with anger and resentment. 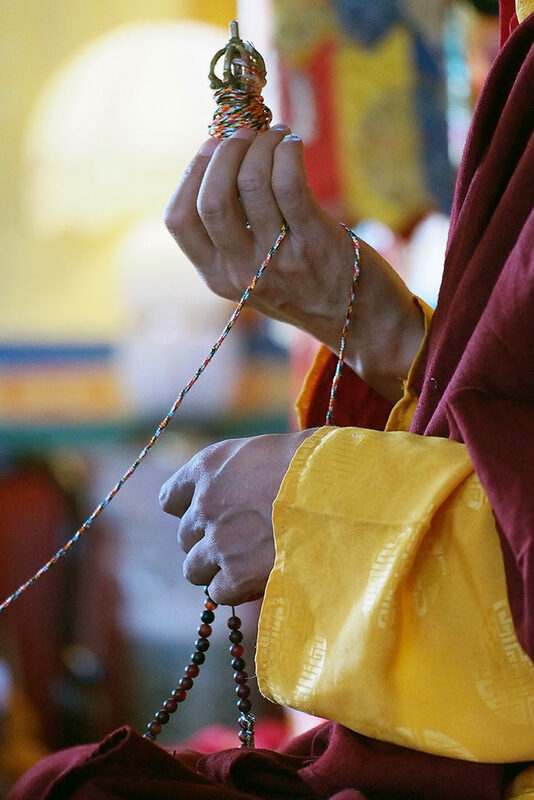 His Holiness Jigdal Dagchen Dorje Chang, Founding Lama of the Sakya Monastery of Tibetan Buddhism in Seattle, said that the changes in Tibet are an example of the true nature of human existence: all is impermanent, and everything changes.